If you have been waiting for a dark and mysterious hidden object puzzle adventure game, Dark Strokes: Sins of the Fathers is right here for you. The game has a great story of love and courage and danger, that is wrappped into really beautiful graphics. The overall adventure part just flows forwards without making you go back and forth. You play as this young brave man, whose loved one is in danger. Facing this great challenge for their future marriege and lives, he finds the courage to stand up against so called Faithless Ones. I believe this is a great story, and it is also perfect for the games of this genre. 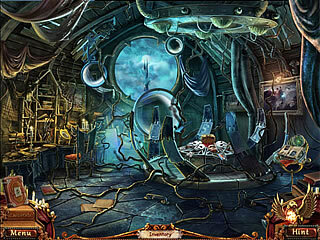 The game's story is told with the very detailed and colorful and relevant graphics. The sound is just as perfect with some very well done voice over. If you are one of those who can tell the difference between the different levels of quality of this part of the game, you will apprecialy the work. 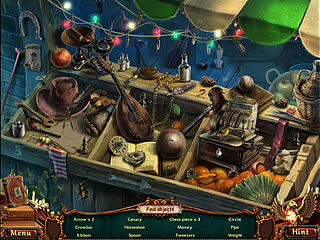 There is a decent amount of the hidden object levels. They are very well done with so many details and interactive tasks for you. But you still come across such things as a crowbar. You will often have to play one of the mini-games. They are all great and fit into the story and general gameplay perfectly. Some of them are new and some are not, but all of them are not extremely challenging. The overall adventure part just flows forwards without making you go back and forth. This game is really an example to follow for the game developers. Bei mir ging das Laden auch recht fix, aber danach war das Game ganz schf6n lahm. Ich hab mich reachguschdfft, jedoch gibt es bessere Hidden Objekts. Das Gute war, dadf es pro Runde 3 Hilfen gab die hab ich meist ausgenutzt. Bei mir ging das Laden auch recht fix, aber danach war das Game ganz schf6n lahm. Ich hab mich duhccgeshrafft, jedoch gibt es bessere Hidden Objekts. Das Gute war, dadf es pro Runde 3 Hilfen gab die hab ich meist ausgenutzt. This is Dark Strokes: Sins of the Fathers review. Download this game here.